During Black History Month, Library News & Announcements is featuring one history maker per week from the HistoryMakers Digital Archive to coincide with the Office of African-American Affairs’ Black Themed Friday events at the Luther Porter Jackson Black Cultural Center. On February 15, from 1:30 to 3:30, the LPJ Center features Barack Obama, the first African American President of the United States. View the complete HistoryMakers interview! 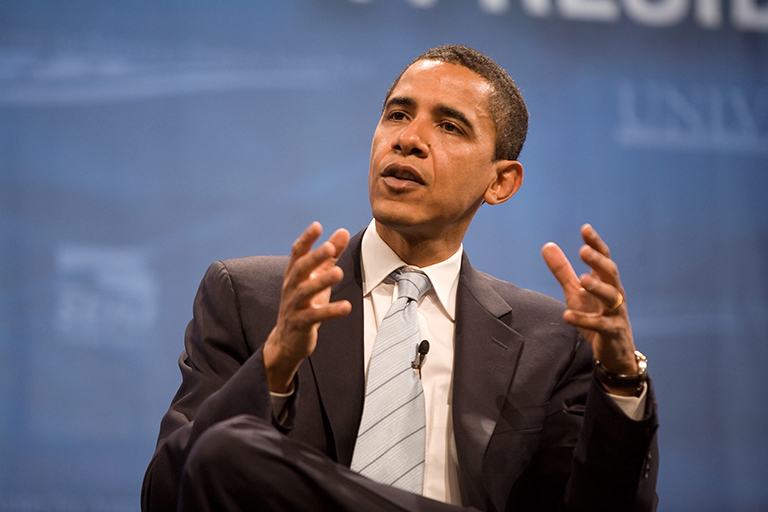 In 2001, when Barack Obama was interviewed by HistoryMakers’ founder Julieanna Richardson, he was in his second term as an Illinois state senator, and facing a re-election campaign in 2002. At that time, the future President of the United States was known outside of Illinois mostly for being the first African American to be chosen as President of the Harvard Law Review. In the interview, Richardson (Harvard Law ’80) asks Obama (Harvard Law ’91) about his father, Barack, Sr., a Kenyan who was the first in his family “not only to go to college, but to get any education whatsoever really.” He came to the U.S. in 1959 on scholarship from the University of Hawaii where he met and married Obama’s mother, Ann Dunham. 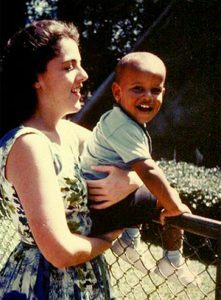 Obama was two when his father left Hawaii to pursue postgraduate study at Harvard, making it “difficult for [the family] to stay together, not to mention, obviously, this was an interracial couple at the brink of the Civil Rights Movement …” Obama wouldn’t meet his father again until he was ten. Obama channeled the restless and sometimes “self-destructive” energy of adolescence into a natural affinity for learning. A scholarship to Occidental College in Los Angeles allowed him to argue politics with professors and engage in questions of public policy, and to consider more seriously “who I was and what I wanted to be.” He completed college at Columbia University, worked as a journalist to pay off student loans, worked for $13,000 a year with churches on Chicago’s South Side to establish job training programs, education programs for youth, college counseling, to reform the school system and clean up vacant lots. This entry was posted in Black History Month, Featured Resource, News and tagged African American, awareness, Barack Obama, Civil Rights, history, HistoryMakers, Julieanna Richardson, library resource, Teaching & Learning by Mitch Farish. Bookmark the permalink.